With Gelli Arts, you can Monoprint on gelatin plates, which gives a unique result popular with many printmakers. 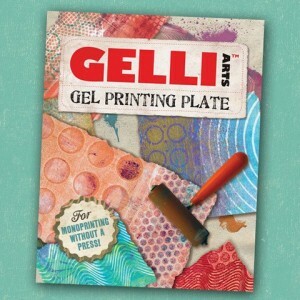 While gelatin plates ultimaely deteriorate, Gelli Arts Gel Printing Plates are actual reusable printing surfaces. They look, feel, and react like a gelatin plate, but are made of a unique plastic that contains mineral oil. They do not contain any latex or animal products. Acrylic paint, water-soluble inks and fabric paints work best to create interesting one-of-a-kind monoprints. No printing press needed! Easy clean-up with soap and water. One 12x14 in. 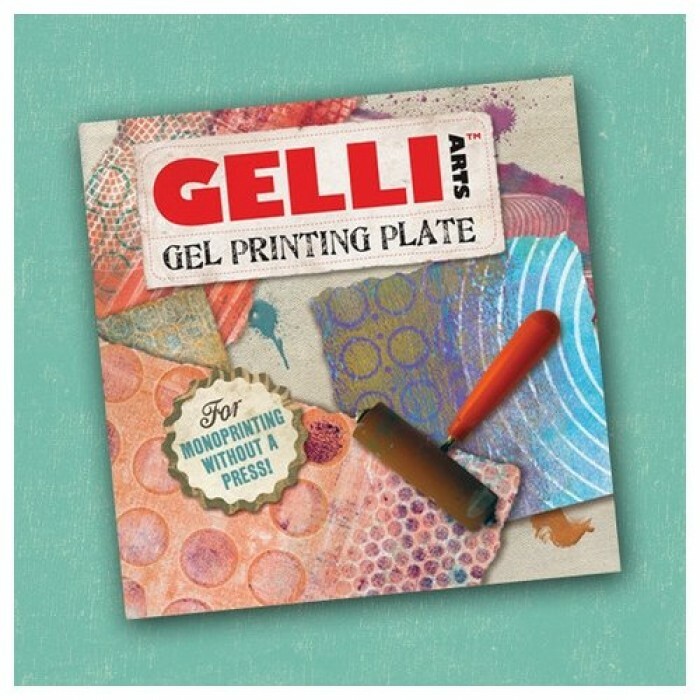 Gel Plate.